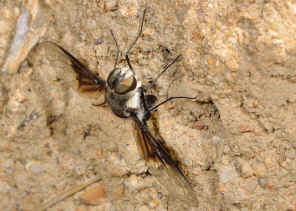 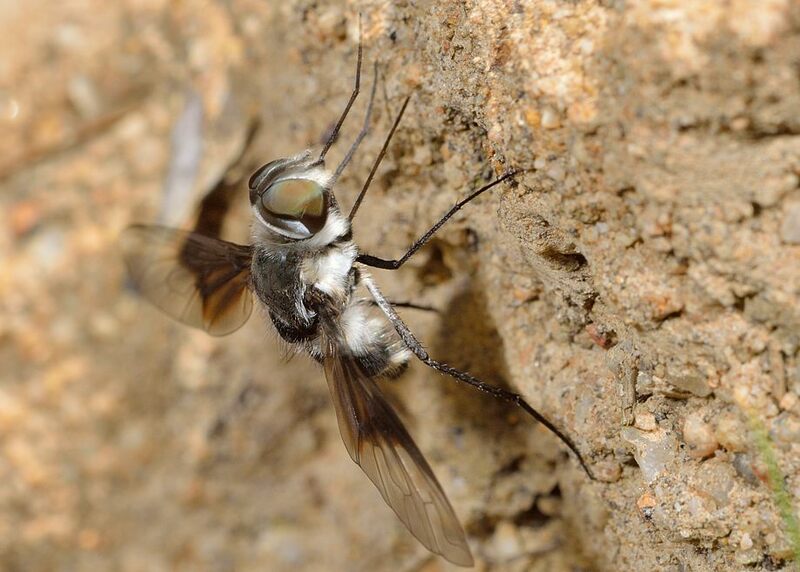 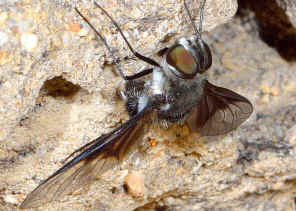 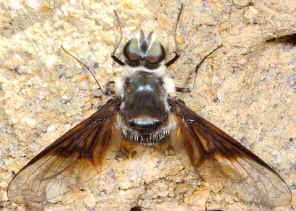 Thraxan Beefly III - Thraxan sp. 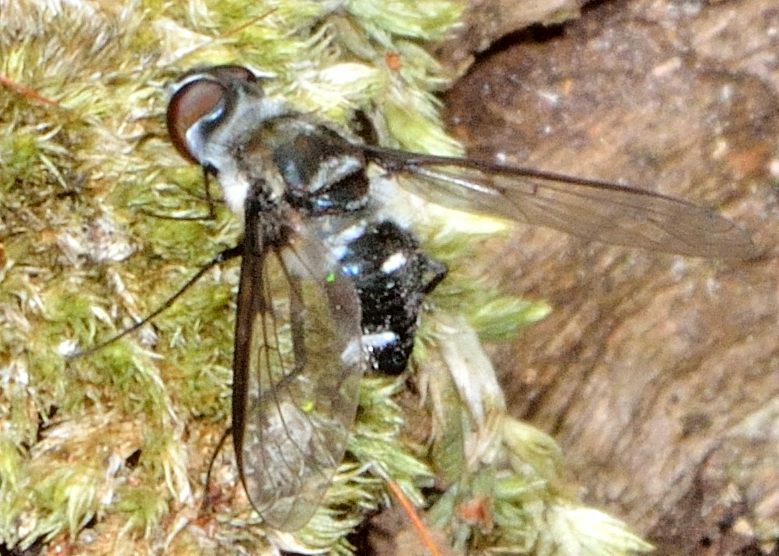 Pictures were taken in Anstead Forest o Feb 2010. Abdomen segments 6 lateral margins with white hairs. 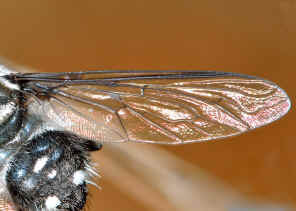 Spur-vein at base R2+3 NOT present. R2+3 meets r-m cross-vein directly. 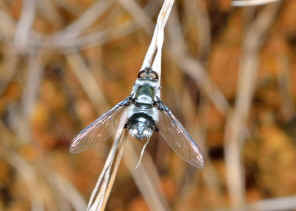 Please also visit this page for more details. 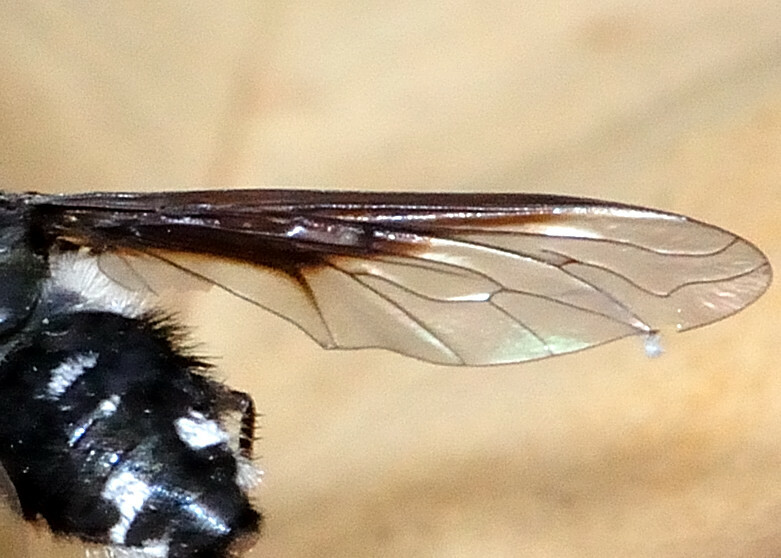 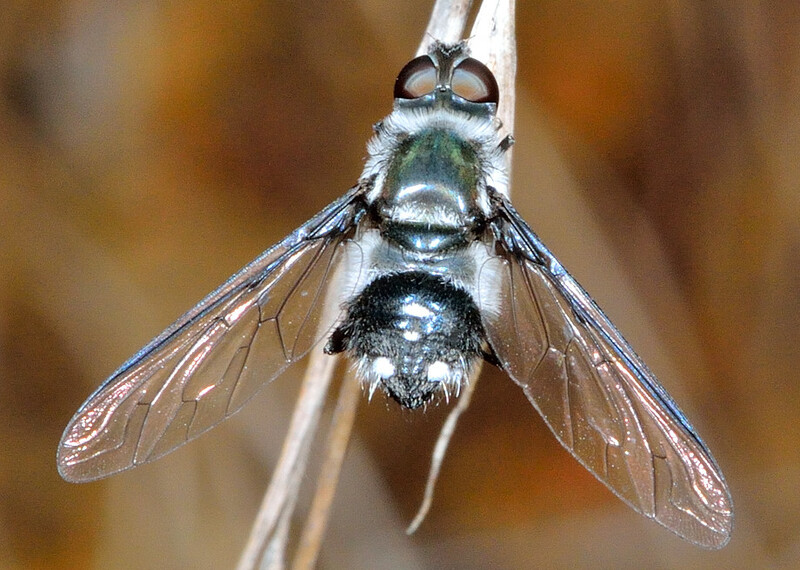 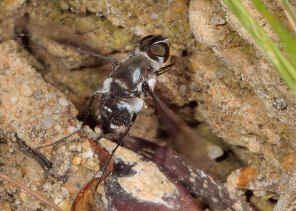 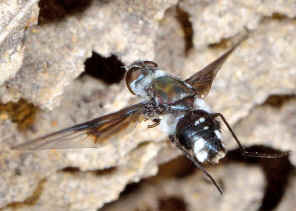 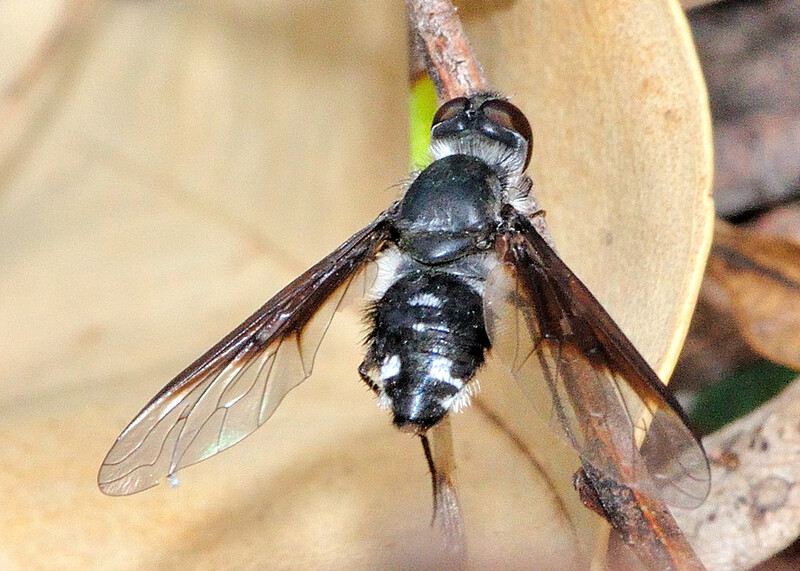 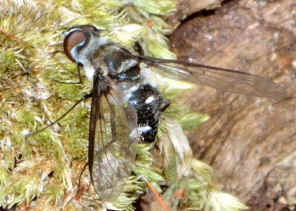 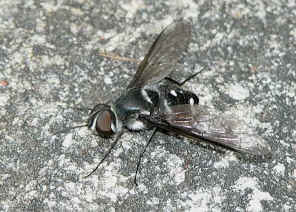 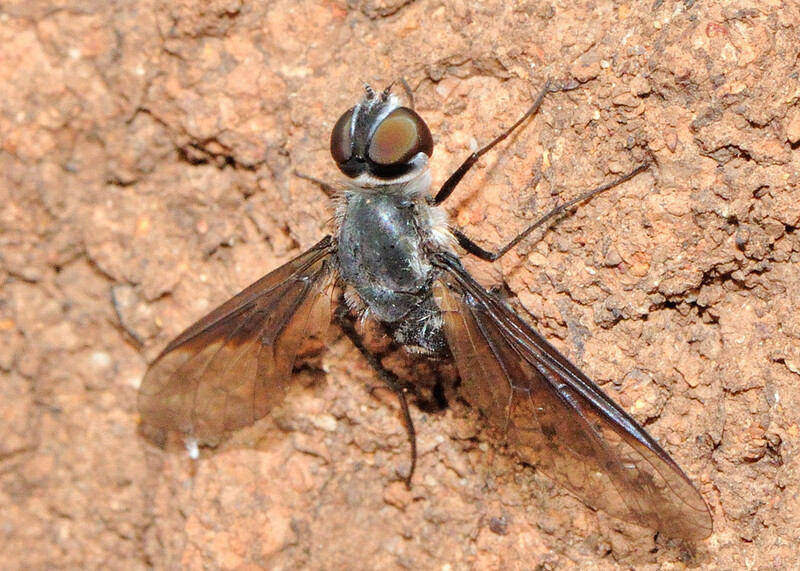 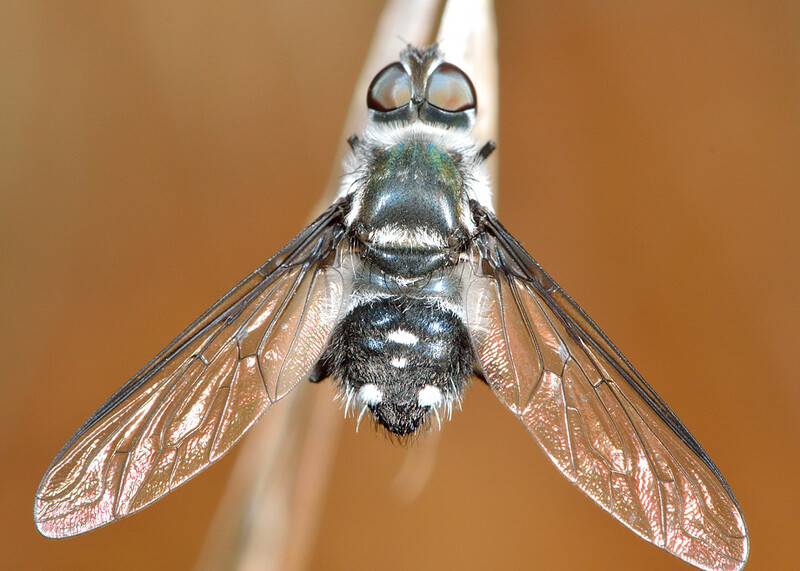 We found this fly in Anstead Forest on Nov 2012.